You could probably write an essay on how Nicolas Roeg’s films depict Australia and Australians, from the two census takers in 1986’s Castaway to Bryan Brown as an existentialist masseuse in 1995’s Full Body Massage. But looming over these works it the masterpiece of cinema that is Walkabout. Two posh English schoolchildren (Jenny Agutter and Luc Roeg) are abandoned in the Australian outback by their father, and are struggle to survive when they are found by a young Aboriginal man on walkabout (the legendary David Gulpilil in his first role). Australia is brutal and beautiful, and Roeg’s film is nothing short of a captivating masterpiece that, like Ted Kotcheff’s Wake In Fright the same year, suggests that Australia is never more fascinating than when viewed through the lens of a foreigner. Once you’ve seen that, check out The Man Who Fell To Earth. This strange, experimental film about an alien (David Bowie) who comes to Earth in search of water for his dying planet is experimental and strange in all the ways your expecting, and at least twelve that you’re not. The film is a staple of pop culture, but remains curiously divisive: it is perhaps too esoteric in parts, and even now many cinephiles fail to connect to it. But to understand Roeg and his style, it’s essential viewing, and the perfect film to watch either alone or with the weirder of your friends. Substitutions: If you can’t get or have already seen Walkabout, try 1973’s Don’t Look Now. Although the Venice-set thriller with Donald Sutherland and Julie Christie may not seem of a kind with Walkabout, its disjointed, unsettling style establishes it as being the work of a filmmaker consumed with fear of an almost-mystical displacement that comes with unfamiliar places. If you can’t get or have already seen The Man Who Fell To Earth, check out that other experimental Roeg film featuring a legendary pop star from the 1970s: Performance. Mick Jagger stars in this reality-bending film about East London gangsters, rock stars and identity. The Hidden Gem: Want to try something from off the beaten path? 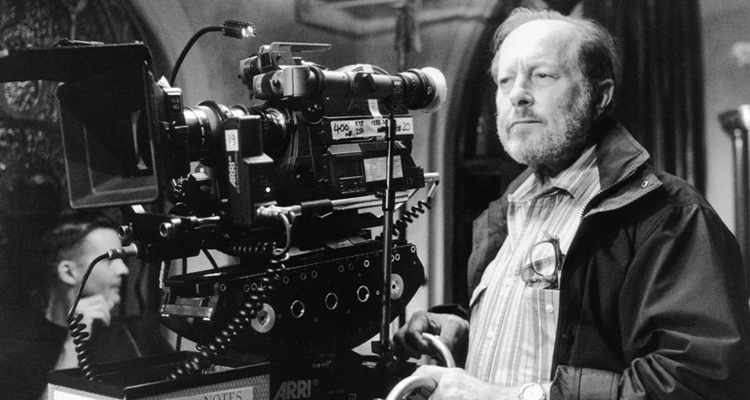 A Nicolas Roeg film that is rarely discussed? You’ll want to check out 1985’s Insignificance. The adaptation of the stage play by Terry Johnson speculates on what might have happened if Albert Einstein, Marilyn Monroe, Joe DiMaggio and Senator Joseph McCarthy had encountered each other one evening in a hotel. They’re never named as such – they’re The Professor, The Actress, The Ballplayer and The Senator – but there’s no mistaking them. It seems to have slipped into obscurity, but it’s a film that stretches far beyond its obvious “icons meet” setup into something far more profound and interesting. The next episode of Hell Is For Hyphenates, featuring Jocelyn Moorhouse talking Nicolas Roeg, will be released on 30 November 2016. 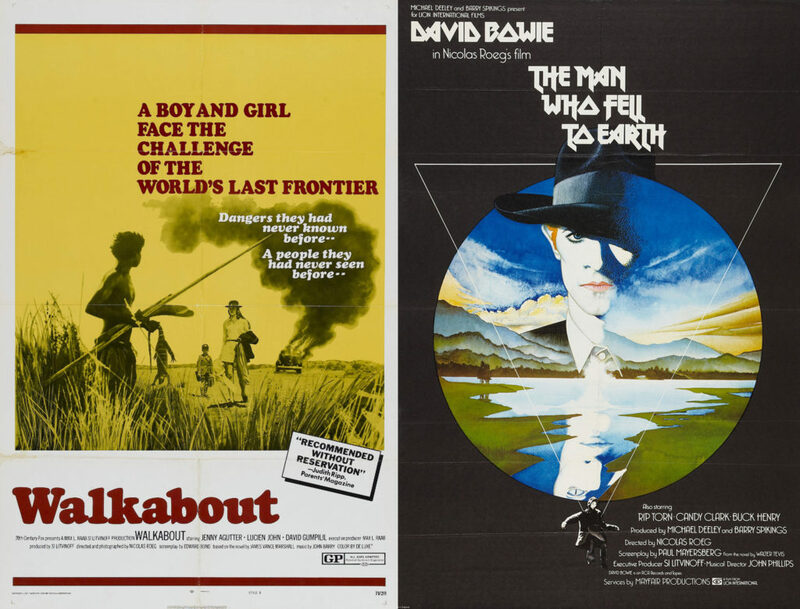 This entry was posted in blogs and tagged cheat sheet, don't look now, insignificance, jocelyn moorhouse, nicolas roeg, the man who fell to earth, walkabout on November 25, 2016 by The Hyphenates.